From the funny teasers to the star-studded cast — which includes Bisola Aiyeola, Zainab Balogun, M.I Abaga, Richard Mofe-Damijo, Beverly Naya and Chigul, we smell another cinema box office hit. 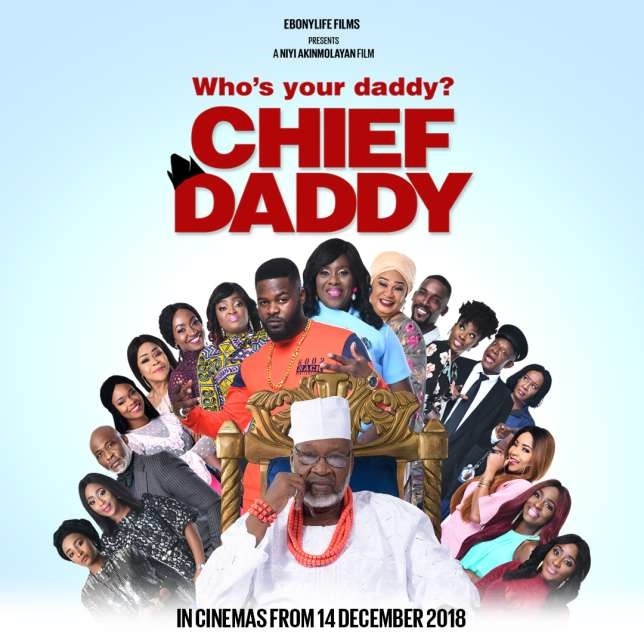 EbonyLife aims to keep teasing fans with trailers for the upcoming movie “Chief Daddy’ until the movie hits cinemas in December. The film already has two teasers and now there is a third. Chief Daddy tells the story of billionaire industrialist, Chief Beecroft, a flamboyant benefactor to a large extended family of relatives, household staff and assorted mistresses. His sudden death shocks everyone, and brings out some secrets that would bring a lot of drama into his household. A few weeks ago, they released the first teaser, which showed us how the Chief dies; then the second teaser, which showed the aftermath of his death; and now the third, which focuses on two of his daughters (Funke Akindele and Kate Henshaw), contesting his will.